P1184. 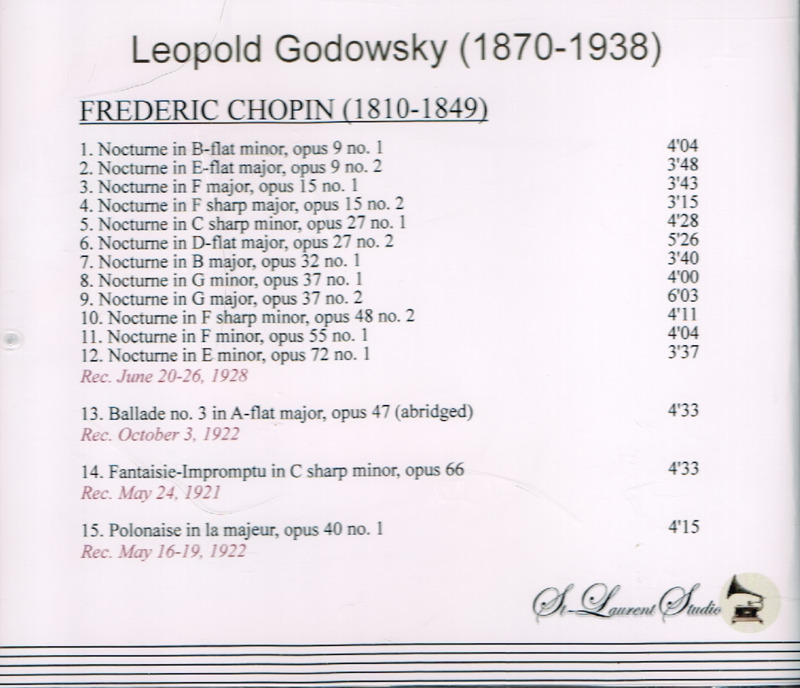 LEOPOLD GODOWSKY: Chopin Recital. 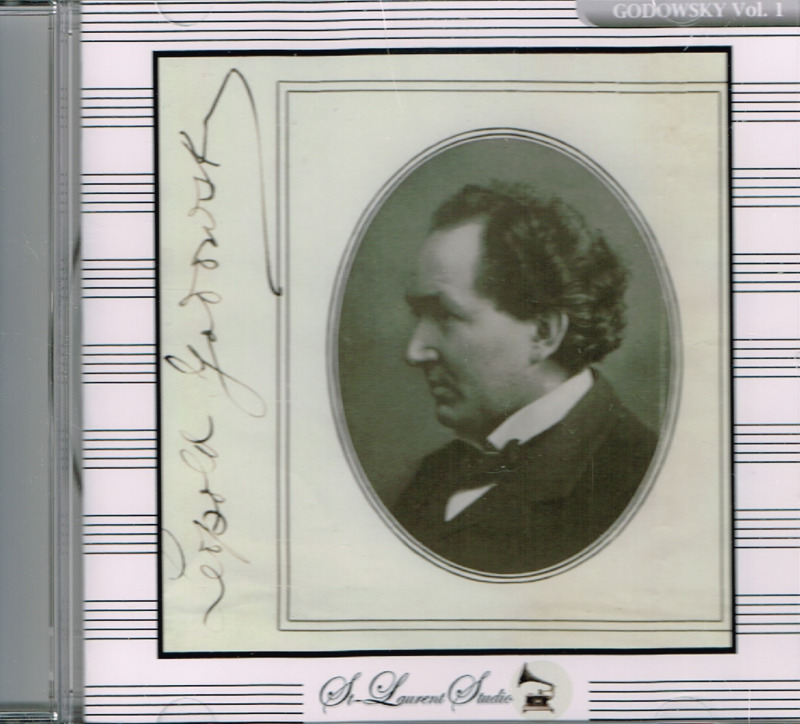 (Canada) St Laurent Studio YSL 78-272, recorded 1921-28. [From inherently noisy Columbia pressings.] Transfers by Yves St Laurent. 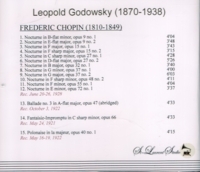 "…with the other great Godowsky recordings, it is part of his small group of piano recordings for which no words of praise are extravagant enough – Herculean, supreme, transcendent, magical, magnificent–perfect."